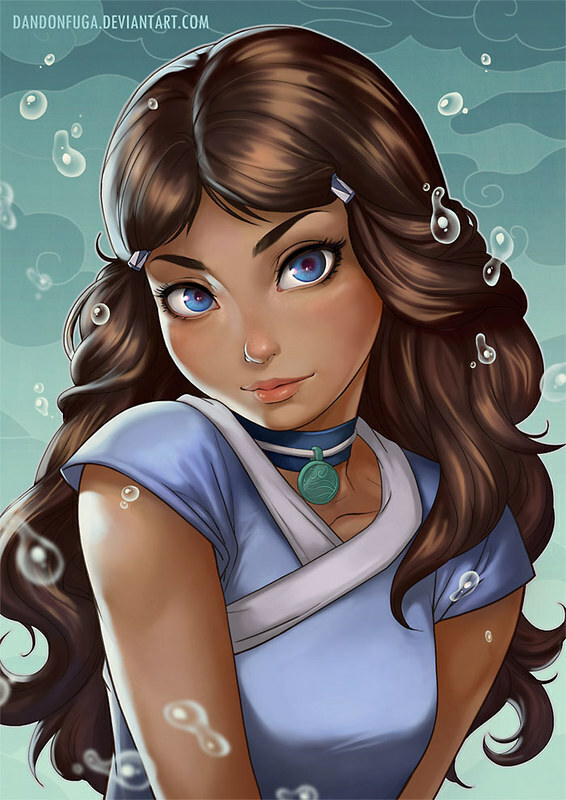 Katara is a young girl of average height with large blue eyes, and dark brown skin and hair. She dresses in blue and white fabric and cloth boots as all can be adjusted to fit her still growing frame. The only item of real value she's ever possessed is a piece of turquoise that she wears tied to a thin ribbon around her neck, and it is considered her most prized possession. Water Magic 「水魔法 Mizu Mahō」 is a form of magic that allows the users to manipulate the element of water. It is one of the four elements of Mana. This form of magic allows the users to generate and manipulate water at will. Without the use of a grimoire, the users are still able to use this magic. However, in order to use it to its full potential, specific spells are required, which are stored within grimoires. Water Bullet: Like many users of one of the 4 elements of mana, Katara has the ability to create a bullet of water to fire off at an opponent. Unlike most, she cause also use this form of magic on herself, using it as part of her kicks, punches and strikes to further empower her hits while conserving mana. Water Wall: With the use of a grimoire Katara can create a large wall of water to block off impending attack. She can even pressurize this water causing damage to the things that hit it, or using it to attack while maintaining safety behind it. Water Whip: With the use of water magic, Katara can create a whip made of water, using it to extend the range of her techniques as well as to defend and bend around her person. The use of this magic requires precise timing and absolute trust in it, as the water itself can be hard to keep in this form, even so she seems to use it well. Water Healing: Katara can use flowing water to heal herself or others of minor injuries. In the same way that she can cause damage. This seems to be most effective against burns and topical wounds but long term creation of water can heal deeper wounds but Katara finds this more draining to do.